The month-long Amar Ekushey Granthomela (book fair), a yearly event for booklovers and publishers, will begin on the Bangla Academy premises and at adjoining Suhrawardy Udyan in the capital on Friday (Feb 1). Prime Minister Sheikh Hasina will inaugurate the book fair on the Bangla Academy premises in the afternoon on the day. She will also unveil a book titled 'Secret Documents of Intelligence Branch on Father of the Nation Bangabandhu Sheikh Mujibur Rahman' (Volume-2) at the opening ceremony. Two foreign guests – Indian poet Shankha Ghosh and Egyptian writer and poet Mohsin Al Arishi – will grace the opening ceremony. State Minister for Cultural Affairs K M Khalid will attend the opening ceremony as a special guest while Bangla Academy Director General poet Habibullah Siraji will deliver the welcome speech with its President Professor Emeritus Anisuzzaman in the chair. Bangla Academy disclosed the details of the fair at a press conference at the academy on Thursday, reports said. Prime Minister Sheikh Hasina will also distribute the Bangla Academy Sahitya Puraskar at the opening ceremony. Four writers and researchers won Bangla Academy Sahitya Puraskar-2018 which was announced earlier. The award winners are – Poet Kazi Rozi for poetry, Mohit Kamal for literature, Syed Mohammad Shahed for essay and research and Afsan Chowdhury for research on Liberation War. The winners will receive a cheque of Tk 2 lakh each at the programme. Seminars will be held at the main stage of the fair venue at 4 p.m. everyday from Feb 2 to 28 followed by cultural events. 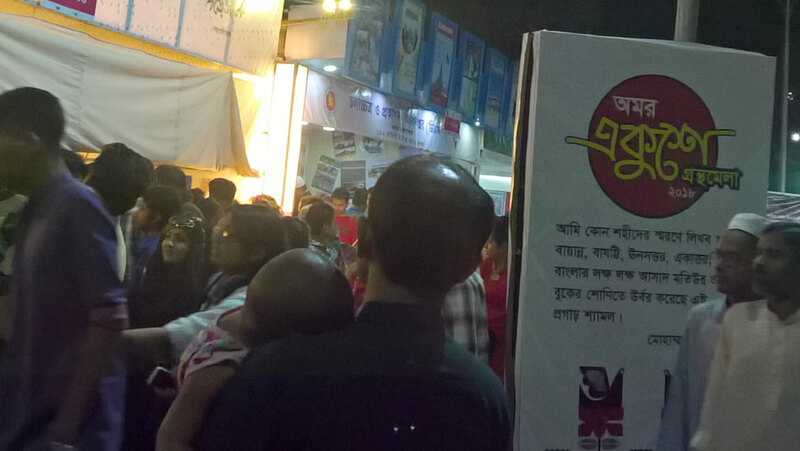 Like the previous years, the venue of the fair has been extended to nearby Suhrawardy Udyan with huge changes. This year, a total of 770 units were allocated to the 499 organisations. The authorities have allotted a total of 150 units at the Bangla Academy ground to 104 organisatons and 620 at the Suhrawardy Udyan to 395 organisations. Besides, 24 pavilions have been allocated for 24 publishing houses, including Bangla Academy which was the same in the last number. There will be strict security arrangements in and around the book fair venue to avert any unpleasant incident during the fair. Publishers from across the country will come at the fair with a wide variety of books while Bangla Academy will exhibit 102 newly printed and reprinted books. The fair will remain open from 3 p.m. to 9 p.m. (Sunday to Thursday) while it will remain open from 11 a.m. to 9 p.m. on weekly holidays. On the 21st February, the fair will remain open from 8 a.m. to 8 p.m.